we have the best ecards and service. 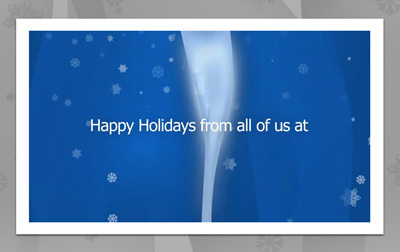 Corporate holiday e-cards usage becomes more popular every year. 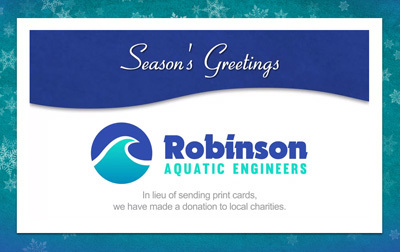 Using our e-card service, businesses and organizations are realizing the great marketing, time saving and cost saving benefits obtainable when extending holiday greetings to clients and customers digitally. We'll match it to your company's colors & logo! Change the photos and edit the text to suit. Tell us the customizations your heart desires! Over 100 customizable designs to choose from. 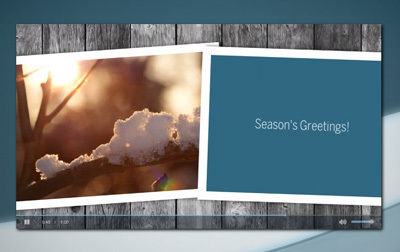 View some samples from each of our 5 business e-card collections. Find the one that's perfect for your occasion. Time Saving. Cost Saving. Sanity Saving. If you spend $3 per customer on paper cards and send to 300, that’s $900 before postage, signing, sealing and labelling. 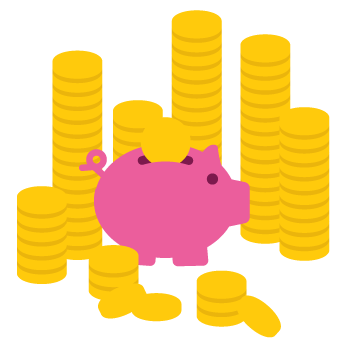 Save money and your time by using our service. Ever wonder if your paper card was opened or trashed? 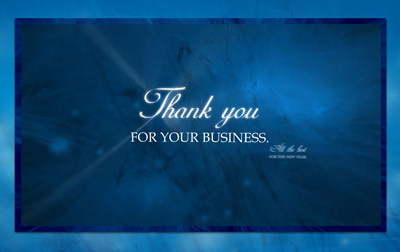 *When you send using your email marketing tool or our E-Card Delivery Service. Amazing customer service you've missed! 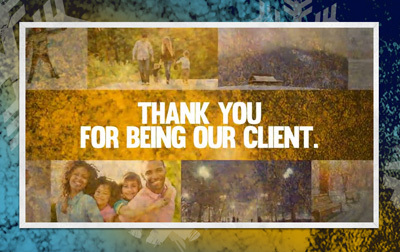 Clients always talk about our exceptional client care. 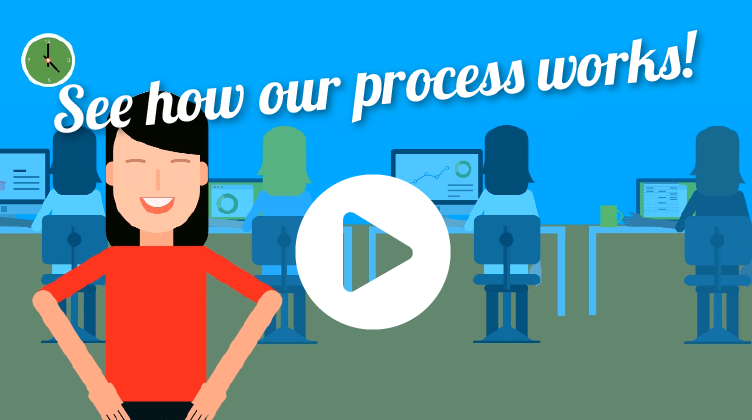 Our project managers, make it easy for you! 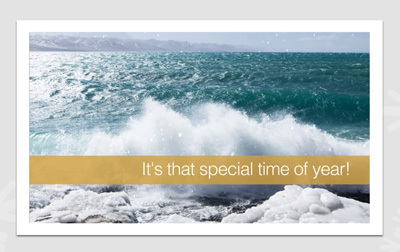 "I look forward to working with CorporateHolidayEcards.com again in the future." "...they made me look good!" "We couldn't be more pleased with the result!" 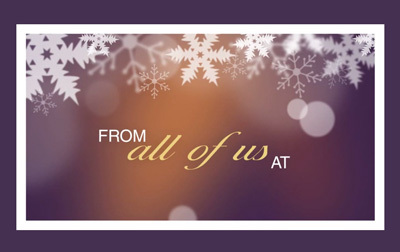 "I was so pleased with our Holiday E-card last year that I didn't hesitate for a second chance." 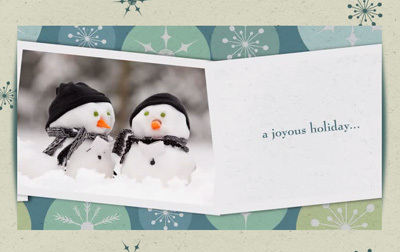 "You were a pleasure to work with..."
"CorporateHolidayEcards.com's e-card was the best solution for sending a branded holiday e-card..."
"CorporateHolidayEcards.com came highly recommended, so we chose them to create our card." 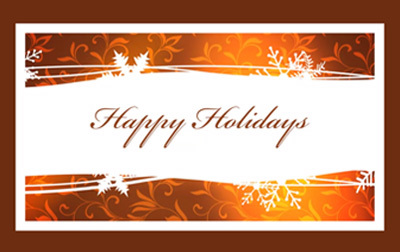 "Please allow me to express our gratitude for the professional, approachable and enjoyable way CorporateHolidayEcards.com partners with customers." 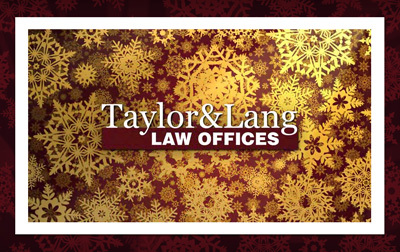 "...I would definitely recommend them to anyone looking for high quality e-cards..."
"Their staff is fast, knowledgeable, thorough and timely." 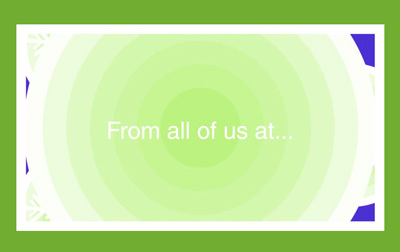 Read Client testimonials, see who they are or learn more our company. 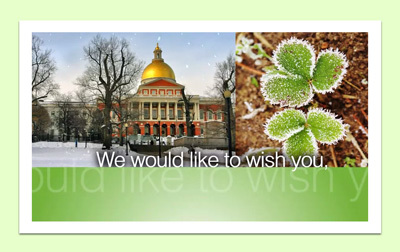 We've got 5 collections of corporate ecards that can be used for holidays. (Or, any other occasion you require). Most popular. 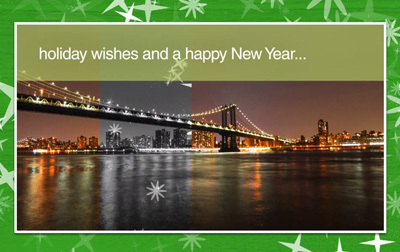 Combines photos with your greetings. Keep-it-simple. 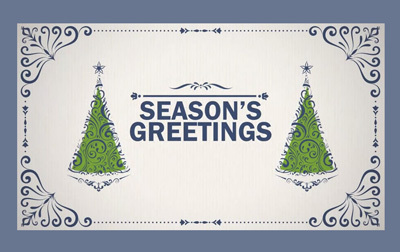 Your greetings with illustrated animations. 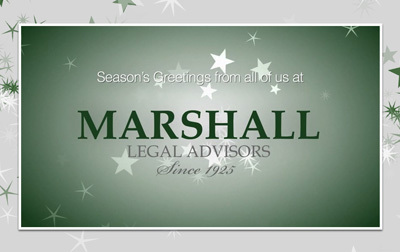 Our most multi-purpose and customizable business ecard. 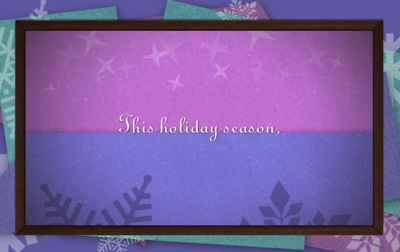 Lovely pop-up card animations with your greetings. Share your Team's smile! Greetings optimized for staff photos. See for yourself. Get a sample right now! 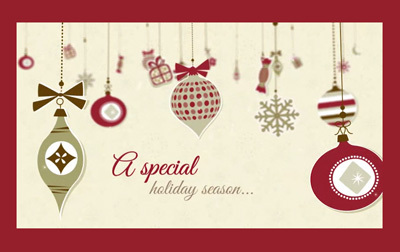 Special Discounts & Holiday Season Reminders Sign-up! 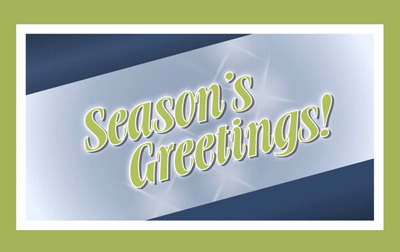 Get our friendly reminder at the start of the holiday season, plus access to our current discounts & promotions. 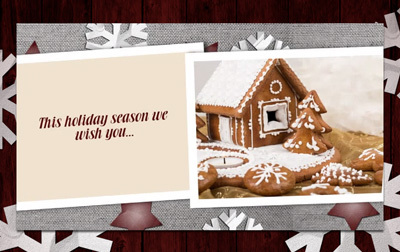 We can reconfigure our e-card designs for almost any holiday or occasion. Other common occasions include Thanksgiving and New Year's. 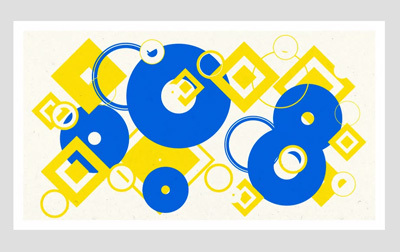 Ask us about custom designs for birthdays and business announcements like address changes, new hires, employee appreciation, retirement and more. 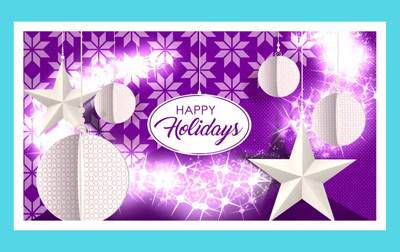 Whether you're a business owner; your boss' assistant; a member of your group's marketing department; or simply in-charge of sending out Holiday e-greetings, you are beginning your search for methods to get your corporate Holiday e-card created in-time for the holiday season. So, where do you start? Like most, when first starting to look for information, you fire up your web browser, open your favorite search engine and start searching. In no time, you come across many company websites providing corporate e-card design services – both paid and free services. After digging a little deeper into both the free and paid providers’ websites, you quickly begin to realize there are many e-card providers out there and all of them vary by style, quality, service levels and more. Which style and quality level is right for you? Do you want to handle delivery and hosting yourself? Do you want to be involved in the creative process? Do you want to just let someone handle everything for you? First off, if you’re new to e-cards, especially for businesses, you might be feeling a little lost. 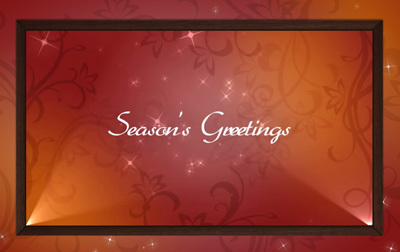 You need to be looking for e-cards that create an experience for your recipients in addition to extending your wishes. Also, shaping the experience to seamlessly include your branding helps recipients associate that experience with your group – crucial for creating awareness and trust of your business or organization. Secondly, while many do realize the marketing opportunity that comes along with the holiday season, many don’t pursue the means to fully capture it. This can be due to many factors, such as unawareness, lack of budget, or lack of time. In fact, time is always the largest factor in the entire process and becomes the crutch in limiting how much marketing can be done using an e-card. 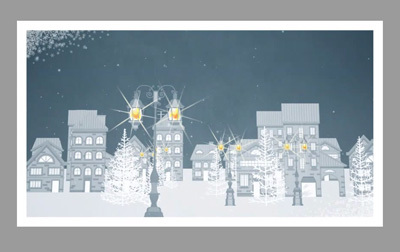 When wanting to fully leverage the marketing potential of corporate e-cards for the holiday season, the typical business should really get started early on in the year. Usually by early Fall the latest. Now, from our experience, there are businesses that do get started early, but for the most part, businesses tend to leave it till later in the year and end up with a ‘just in time’ result. E-cards generally come in all shapes and sizes. When deciding on the style of e-card, some of the things to consider are: the nature of your business relationship with your customers, the demographics, cultural diversity and size of your audience. What is the Nature of your Business Relationship with Customers? Some service providers may have close business relationships with their clients and are in communication with them almost daily. 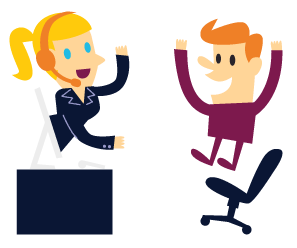 Business relationships of this type often result in the service provider and customer to experience more personality traits of each other (E.g. humor). Contrary to this, other service providers or product sales companies may not have such a close relationship with their clients or customers. They might maintain a very professional, and less impersonal, relationship that results in never having experienced any personality traits of one another. If your business relationships are more characteristic of the personable business relationship, then you’ve generally got a wider range of e-card styles you can choose from. You could probably send something funny or something serious and either would be appropriate. 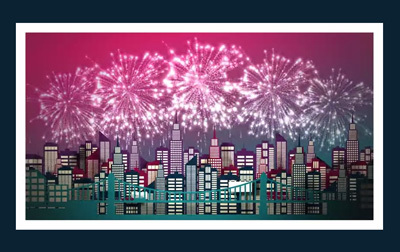 But if your business is more characteristic of the "very professional and less impersonal" nature, the range of e-card styles you can choose from is narrower. You definitely do not want to send a joke because you’re more likely to not understand your customers’ sense of humor. 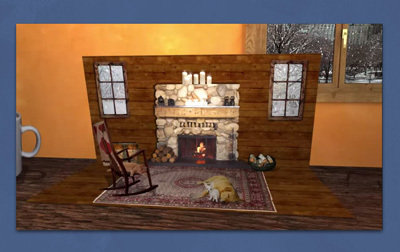 A photo e-card animated to a complimentary audio track with warm messaging would be perfect in this scenario. 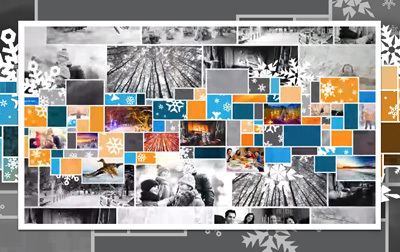 In today’s global economy, companies are doing business across every corner of our planet. A typical medium to large business’ clients and customers collectively are diverse. It’s common in today’s business world for clients and customers to: be spread across a number of age groups, be from a vast range of cultural backgrounds, and speak a number of different languages. With small businesses and individuals that serve a small amount of clients, although still present, diversity isn’t as common. 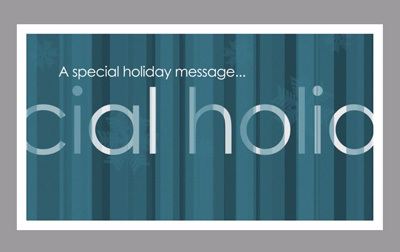 For medium and large businesses and organizations with a diverse customer and client base, a holiday e-card should be non-denominational in every aspect. 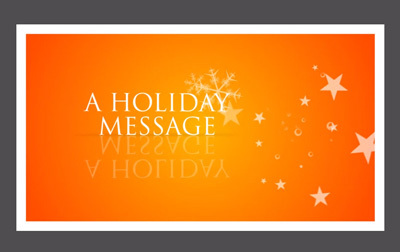 Using specific religious terminology in an e-card could cause some of your recipients to be taken back – or worse, upset. 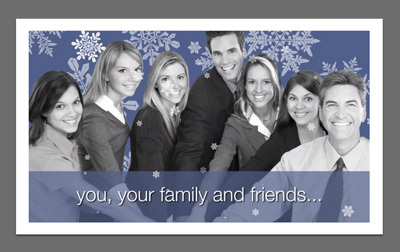 Business Christmas ecards are only appropriate when you have a smaller clientele and you can be sure they celebrate the holiday. While we’re on the topic of diversity, global clients and customers with varying spoken languages, it's a great idea to have additional language versions of your e-card created. 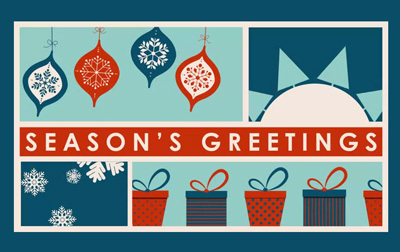 There's nothing worse than getting an e-card in a language you don’t understand and although English is the most commonly spoken language with many cultures having English as their second language, it’s a far nicer gesture to send an e-card in the recipient’s first language. It shows you care and appreciate cultural diversity. Now that we’ve covered understanding your customers and the style of e-card you should be sending them, let's take a look at couple of other important aspects of the process – the creative and technical aspects. 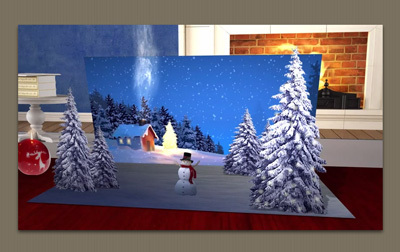 If you have a vision of an e-card you want created, keep in mind that completely custom designs can often cost a lot of money often dwarfing your budget. This depends on the level of complexity and sophistication of the design, of course. However, from much experience, it’s often the case that a client’s vision is great, but big – far bigger than their budget. 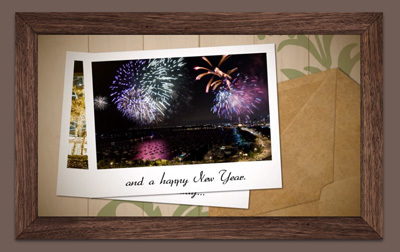 In fact, it is this experience that led us to offer customizable e-card templates instead of providing a custom e-card service. 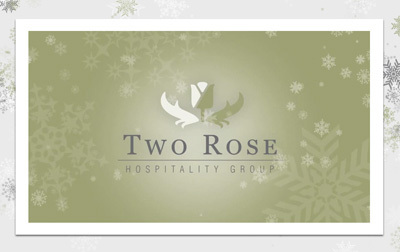 Creative bone or not, when potential clients experience our e-card templates, they love them. 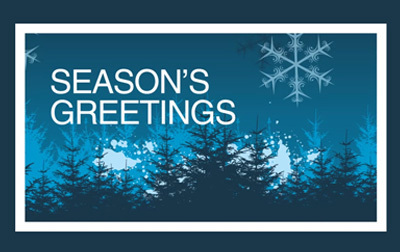 In fact, we actually get many design companies ordering our holiday e-cards simply because they don’t want to ‘re-invent the wheel’. Over the years, we’ve listened to our clients and created templates and special add-ons that encompass the most commonly requested features. When opting to move forward with a template design for your company e-card, the vendor should have a process in place that’s simple, easy to follow, provides additional information and support where required and allows the design process of the project to progress smoothly and efficiently. You should not have to be left guessing what to do at any stage – that’s just the result of a poorly developed process and potentially bad business. 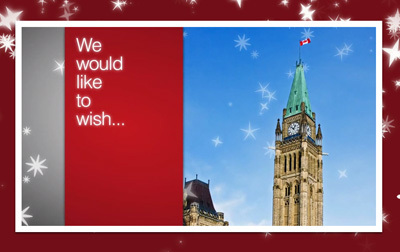 Like a webpage, an e-card (not the kind that's just a static image embedded into an e-mail) needs to be hosted online. 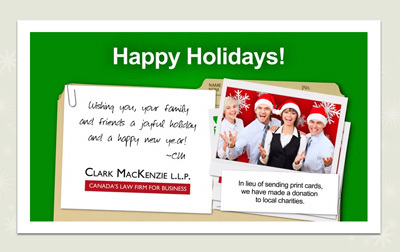 Think of the e-card as being a webpage or embedded into a webpage. That webpage needs to be hosted online so your recipients can view it in their web browser. 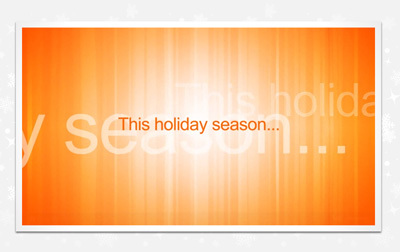 In addition to hosting, you'll need to send your customers the link to view your company’s hosted holiday e-card. To do this, you should use some type of newsletter, e-mail marketing system or bulk E-mail Company. Essentially, an email that contains the link to your company’s e-card gets sent to your recipient. When the recipient opens the email and clicks the link, their default web browser opens and Voila! 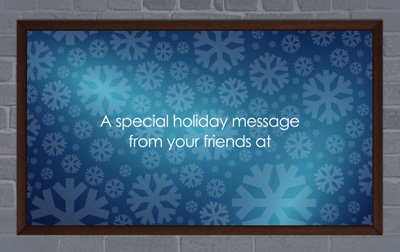 – There’s the e-card. Now, if you yourself have the technical expertise, or access to those that do, to carry out hosting and sending your e-card, perfect! However, if you don’t, you’ll want to be sure to work with an e-card company that provides a full-service solution to design, hosting and sending your e-card. Often the hosting and e-card delivery services are add-on features, but you’ll also find bundled solutions – especially on the do-it-yourself type e-card website. One quick, but very important, note on e-card delivery side of things: when selecting an e-card company for this task, be sure check if they support SFP (Sender Framework Policy) and DKIM (DomainKeys Identified Message). Not sure what these are? Make sure the company you select does or the deliverability of your e-mails might suffer (i.e. emails will be sent, but many may go directly to spam and never end up in recipients’ inboxes). By now, you should have a good understanding of what the e-card process entails by way of design considerations and the related technologies that are required. So, let’s take a second to do a quick recap of the main points we’ve covered when deciding on an e-card design and vendor. 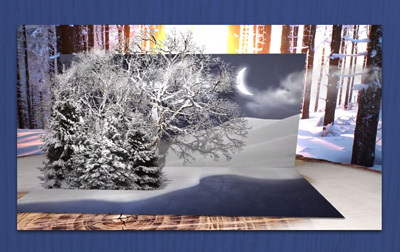 The e-card company should be able to produce a corporate e-card that creatively provides an experience that the large majority of your target will appreciate, as well as reinforces awareness for your brand without being too ‘in your face’. For large audiences, they supply a solution that can still provide value to a wide and diverse audience. 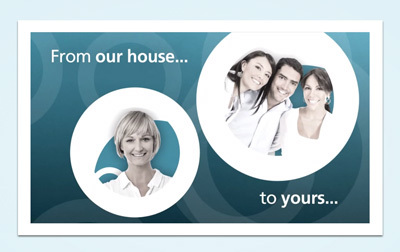 The provider has proven experience with corporate e-cards and has the knowledge to give insight and understanding. They can also answer any questions you have, and have the ability to work with your ideas given the time frame available to you. If time isn’t on your side, they can provide a corporate e-card solution that doesn't require a large time and effort contribution from the Client, and still yield a great result beyond the 'cute and cuddly'! Also, they can produce a 'just in time' solution that is still great! 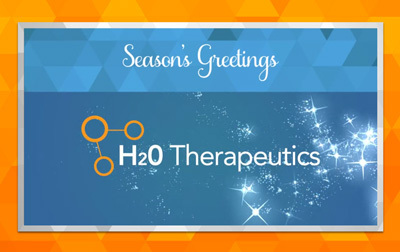 When you look at samples from an e-card company, ask yourself, "Would this e-card complement our brand AND would it provide true value to our recipients?" The e-card company should have the tools and resources to provide a 'one-stop-shop' for your corporate e-card needs. They should take the guessing out of the technologies involved and be able to handle the e-card hosting and e-card delivery aspect. They should understand the benefits of SFP and DKIM. 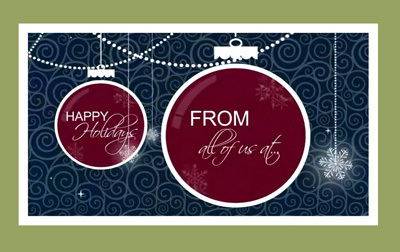 Armed with this information, we hope you feel more educated and confident when seeking an e-card provider for your corporate, organizational, or group needs. 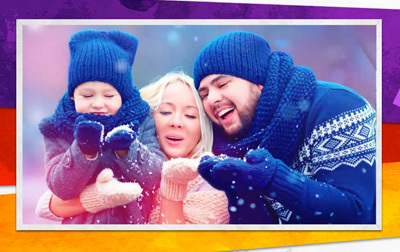 We’ve come across many clients from a variety of regions around the globe, and our experiences with them have helped shape our e-card services and process into, what we believe, is the most well-rounded premium holiday e-card service available. This truly helps both us, and our Clients, by providing a process that is professional, educational, efficient, and always yields great results. 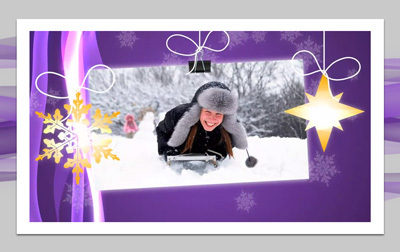 We also have screenshots of our corporate holiday e-cards on Flickr.